From the outside, some pubs lure you in with warmth, light or laughter exuding from the windows or doors. A couple of hundred metres down Lee High Road from Lee Green, the Duke of Edinburgh always has a welcoming feel, as did, The Woodman, a little further towards Lewisham – they are pubs that want to ‘pull’ in the wavering would–be drinker inside. 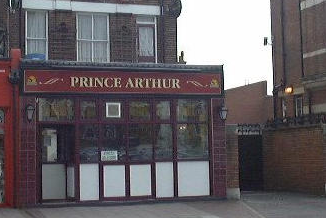 Sadly, in its latter years, at least, the Prince Arthur, close to Lee Green, never seemed to be one of those pubs – it didn’t seem to offer even the slightest of enticements to the passing casual drinker to step inside. 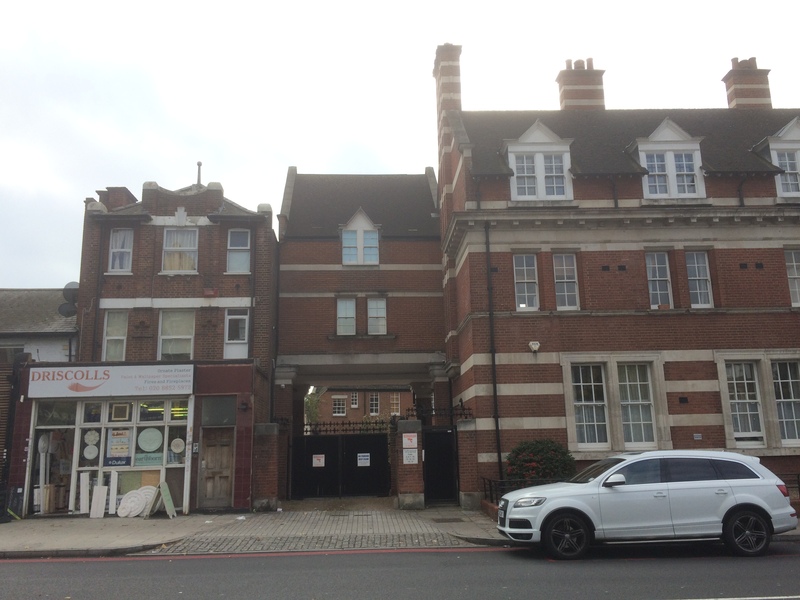 The building was originally one of a row of early 19th century ‘cottages’ – several of which still survive on Lee high Road, and, from 1904 next door to the police station. The latter closed around 2003 and was converted into flats and the pub only lasted another couple of years. It is, however,pure conjecture as to whether the two events were in anyway linked…. The picture above from the London Metropolitan Archives – shows the pub – a quarter of the way in from the right in happier days. The pub opened around 1870. The name, Prince Arthur, was presumably after the the 3rd son, 7th child, of Queen Victoria who had a local connection in that he attended the Royal Military Academy in Woolwich from 1865, when aged 16. The first landlord seems to have been William Scudds; the 1871 census wasn’t that helpful in terms of detail, but 10 years earlier he was living on Eltham High Street, where he’d been born. The new pub was run with his wife Elizabeth, his sister in law, Charlotte, and help from two servants. Ten years later saw Elizabeth still there – listed as a beer seller, but William had died in 1876 – aged just 36. Elizabeth was helped by two sisters and her sister-in-law when the census enumerators called in 1881. Elizabeth married Alfred Thurston later in 1881; the only man of that name in the area was 70 in 1881, while they had a daughter around 1883, Alfred is not mentioned again in on-line records and Elizabeth is again listed as a widow in 1891. It remained a business run by the family Elizabeth was still listed as a ‘beer retailer’ in 1901. She died in 1910 at the age of 64 – a death registered in Greenwich. Charles Gosling, born in 1872, seems to have taken on the pub soon after Elizabeth died, and like her, his tenure was a long one – he was still there when the 1939 Register was drawn up – the only other occupant then was Vera Brighty who undertook unpaid domestic duties. Vera was from near Wisbech and seems to have remained in Lewisham until her death in 1998. It hasn’t been possible to find anything definitive about Charles on-line, other than he was probably born in Lambeth. From the 1980s there seems to have been a steady trickle of licensees – Brian Levett from 1988, Roger Bristow from 1989, Carol Bristow from 1995 and probably the final landlord Gerald St Ange from 1999. The photo to the left is from this era and via the Dover, Kent Archives of Lost Pubs. There are fond memories of the pub in the late 1980s and 1990s in the era when Roger and Carol Bristow ran the pub (see comment from Tony below) – ‘relaxed atmosphere, looked how a pub should be, darts, good jukebox and the odd after hour sessions.’ Roger knew the regulars by name and the after driking refuelling was at the also departed Starburger. The turning point for the pub seems to have been Roger and Carol splitting up, Carol remained and turned the Prince Arthur into much more of a ‘party pub.’ The regulars seem to have drifted away soon after. The pub pulled its last pint in 2005; this was well before the spate of closures after the change in smoking laws, along with changing drinking patterns and supermarkets discounting alcohol contributed to a 12% reduction in the number of pubs between 2007 and 2015. 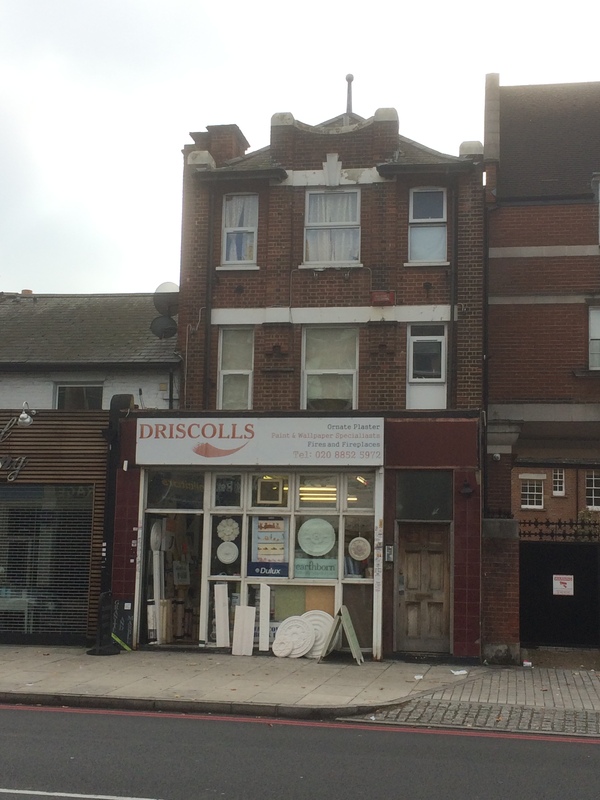 It was taken over after its closure in 2005 by the painting and decorating merchants – Driscolls – who moved from the shop front next door into the building. Unlike many other closed local pubs, there haven’t been pages of memories posted on Facebook – maybe there hasn’t been a trigger to do it… So, if you worked there or drank there, tell your story, who were the characters who propped up the bar, the landlord, the staff, the atmosphere, the memorable nights, the particular celebrations that were held there, memories of the friends, the beers. Post them below (you can use your Facebook or Twitter login – or on Facebook (if you found the post via here) – if it is you first comment ‘here’, you will have to wait for it to be ‘moderated’. I will update the post with comments. Anything libellous will get deleted here & no doubt on the Facebook Group pages. 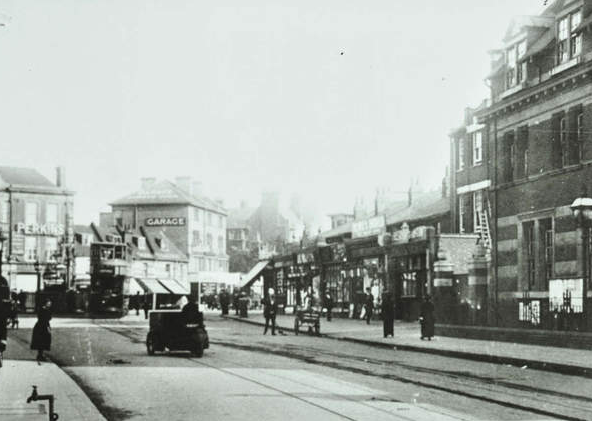 This entry was posted in Lewisham History and tagged Lee Green, Lost Pubs, Prince Albert on November 23, 2017 by Paul B.
Ahh the Prince Arthur! Way back in 1989 as a fresh faced young postman I joined the Lee delivery office and the elder statesmen of the office took me under their booze laden wing and this place was our regular haunt for the next 7 years or so. The heyday for me was when Roger Bristow ran the pub. Relaxed atmos, looked how a pub should be, darts, good jukebox and the odd after hour sessions- usually with the odd CID detective from next door in attendance turning a blind eye! Unfortunately the relationship between Roger and his missus broke down, Roger left (allegedly to live in a caravan!) and Carol Bristow took over. From there on in it started to go down hill. Carol’s new beau (a scaffolder who’s name escapes me) had big ideas for the place after visiting a few bars in Majorca. Which included- garish decorations, a DJ pit, cocktails- basically creating a ‘party pub’. Us posties still hung on for a while during their tenancy grumbling into our pints muttering things like: ‘It used to be so much better when Roger ‘ad it’ or ‘doesn’t even look like a pub no more’ and ‘ ‘ow’s ‘e gonna fit a Pool Table in ‘ere?’. When they left local businessman Gerrard St Ange tried to keep things going but the rot set in once it become a disco pub years before. Still, I’ve got great memories of the regular Friday after work drink in there – the Landlord knowing all our names, what we drank, the regulars, darts, staggering to Starburger next door where the Bob Geldof lookalike served us something meaty in a bun. Loved that place in it’s heyday, if only Roger and Carol stayed together it may- just may of still been there now! Well said Mr Yardley, and so true. We lost many a friday in the Arthur.